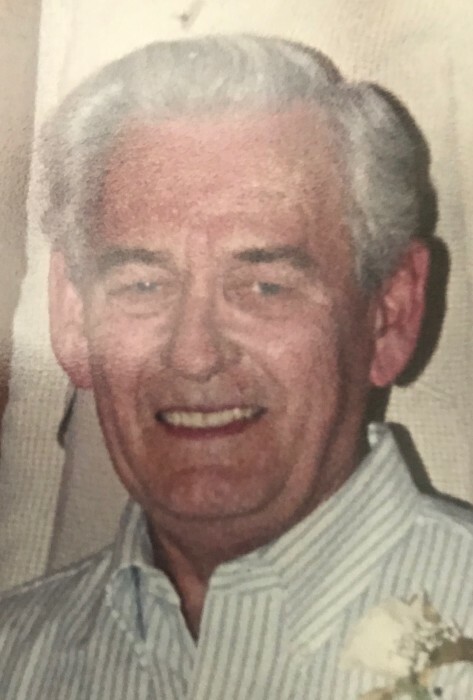 Obituary for John Edward Kelsall | Hunter Funeral Home, Inc.
John Edward Kelsall, 91, of Quincy formerly of Ursa passed away on Saturday, January 12, 2019 in Blessing Hospital in Quincy. John was born on October 4, 1927 in a farm house three miles east of Milan, Mo. to the late Jack and Gertie Kelsall. On October 2, 1949 John married the love of his life, Joan E. Welling of Ursa. Joan passed away on May 13, 2018. Surviving are; two sons, Bradley (Kari) Kelsall of Ocala, Fl., Barton (Sheryl) Kelsall of Quincy; three grandchildren, Brittany Kelsall of St. Louis, Marisa Kelsall of Quincy, Brandon Kelsall of Atlanta, GA.; one great-grandchild, Amira Lee Kelsall of Quincy and one brother, Andrew Kelsall of Asheboro, N.C. He was preceded in death by his brothers, Bill, Oscar and a sister Cathy. John served his country in the Merchant Marines during World War II joining when he was just 16 years old. He served on seven different ships all the way from the South Pacific-Philippines to the U.S.S.R – Murniansk and several places in between. He owned and operated the Amaco Service Station in Ursa for 19 years. Private family services have been entrusted to the Hunter Funeral Home in Mendon. Memorial contributions have been suggested to Amira’s Education Fund in care of Marisa Kelsall.